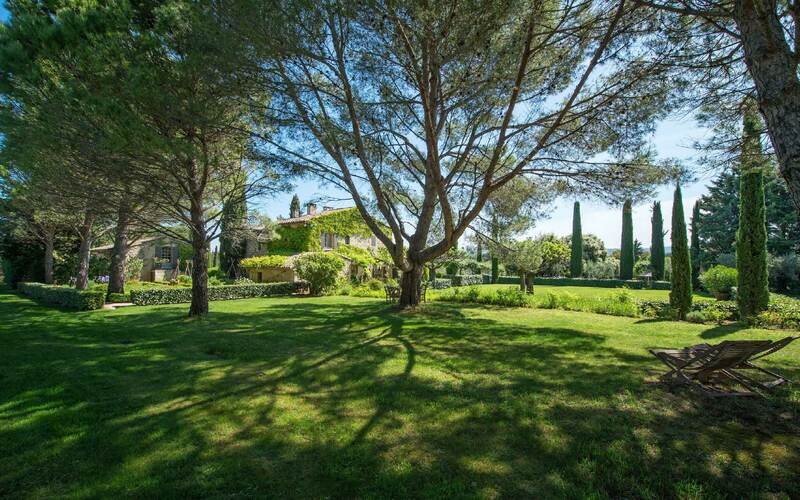 Only superlatives can be used to describe this estate 620 sq. 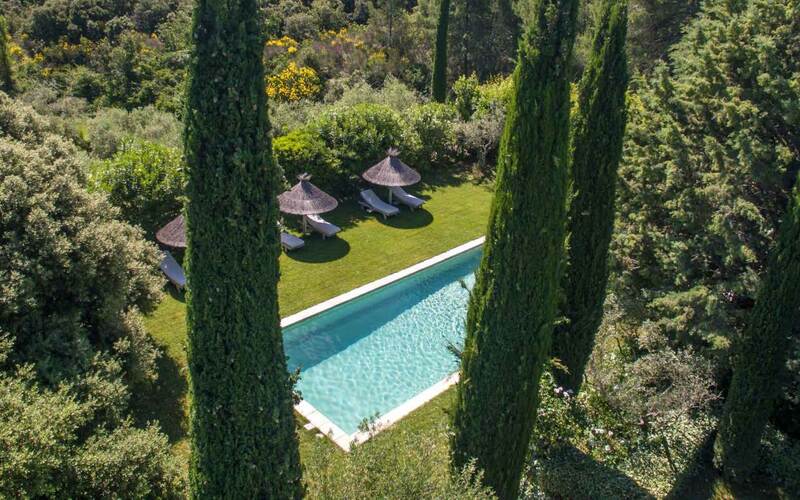 m of living space, which has been luxuriously and admirably restored and decorated, await the future guests in magnificent natural surroundings, between garden squares, pine trees and stretches of lawn. 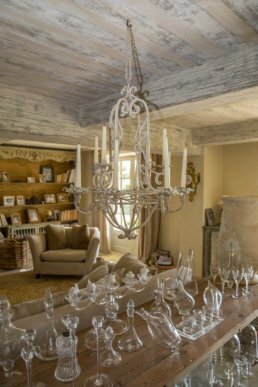 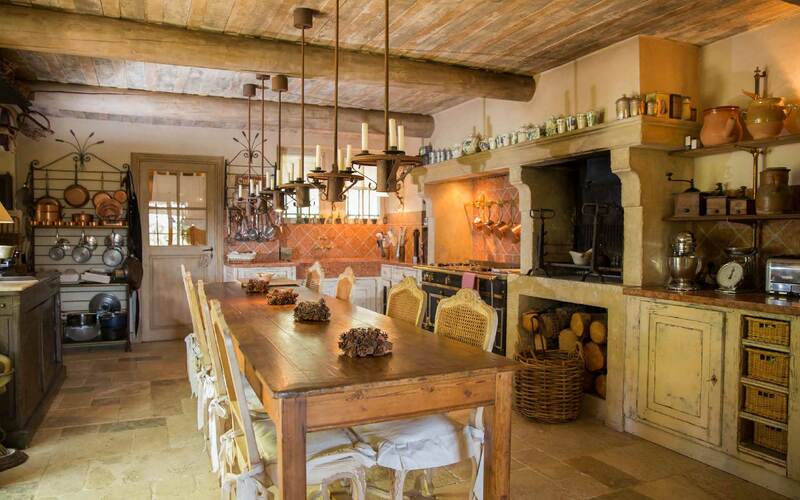 The Provençal farmhouse is organized into two parts. 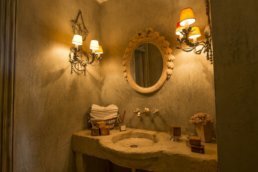 Both have a unique feel and top of the range amenities. 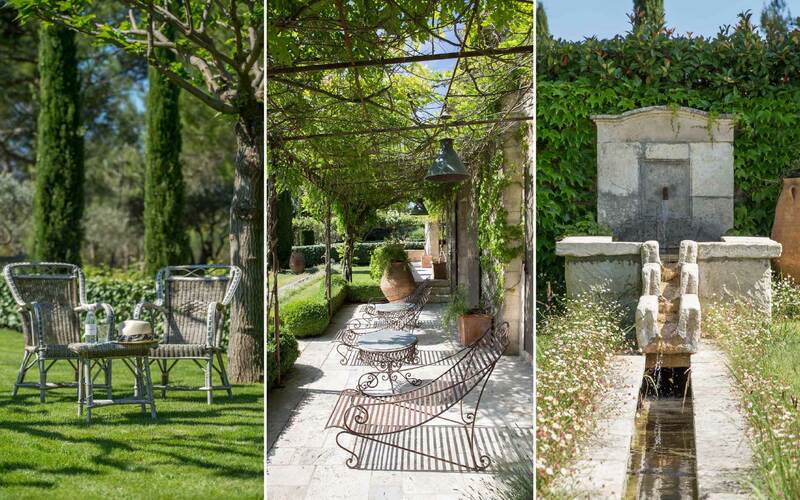 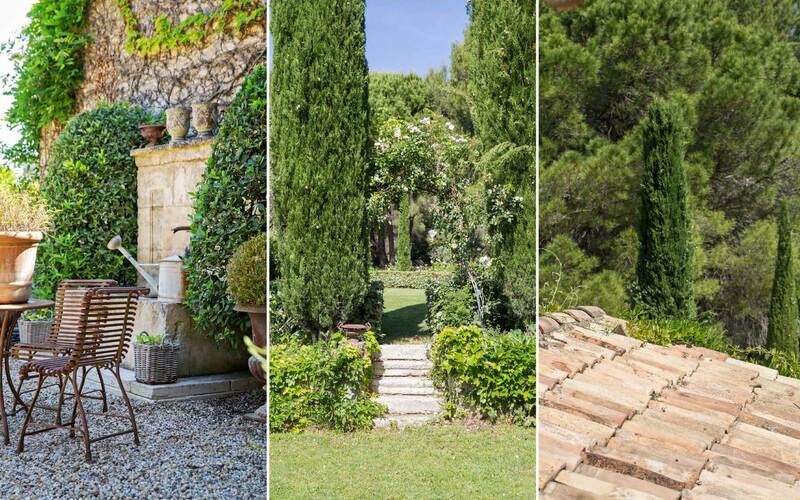 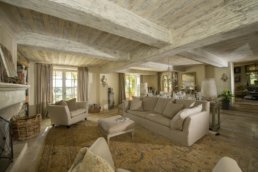 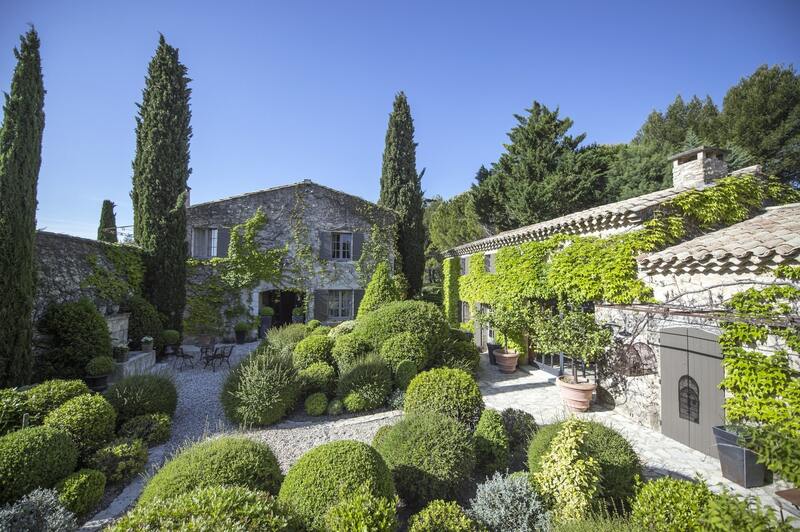 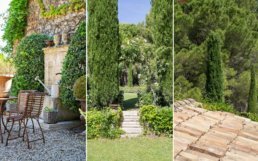 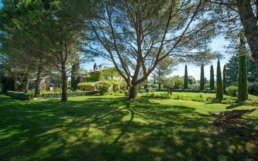 A prime location facing the Alpilles The exceptional, intimate atmosphere The swimming pool and gardens. 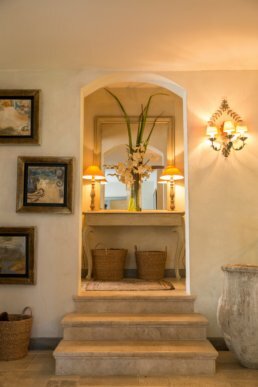 From the entrance hall, where the atmosphere takes center stage making you immediately feel at home, leads you into the large living room that opens onto the garden and the village of Eygalières. 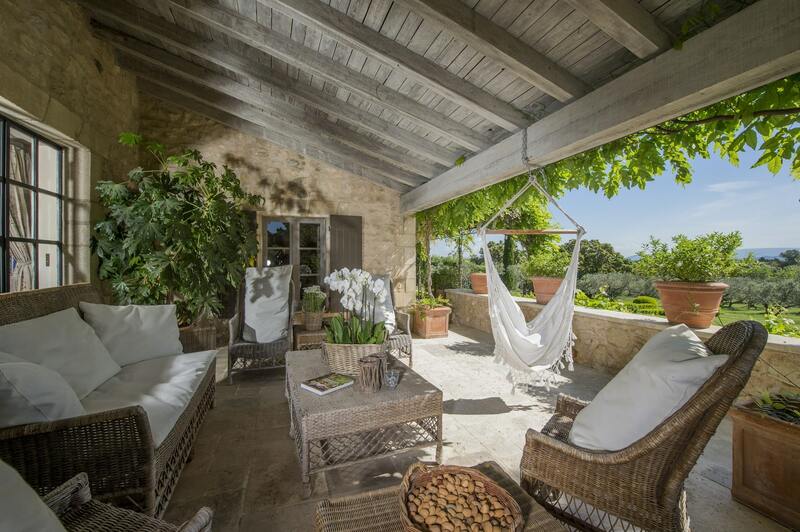 From there, an authentic and spacious, fully equipped kitchen opens onto a beautiful shaded terrace. Four wonderful air-conditioned double bedrooms, each decorated differently, and each with their own bathrooms. 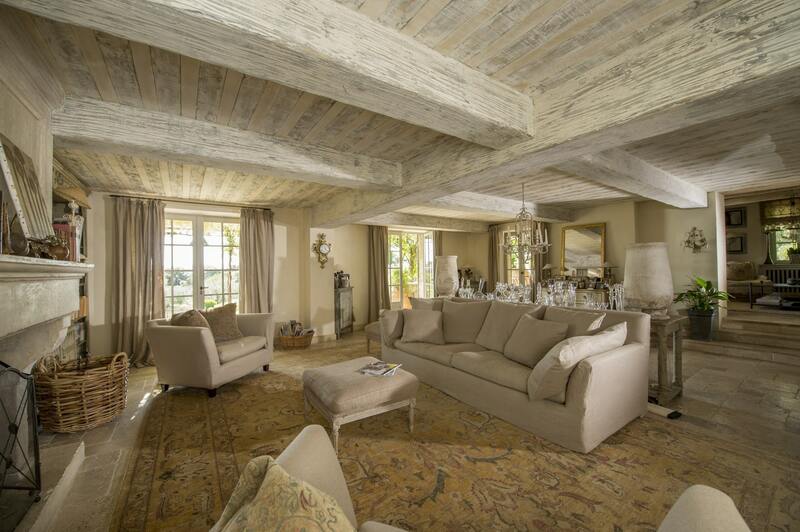 A very intimate, bright living room, with a beautiful fireplace opens onto the patio. 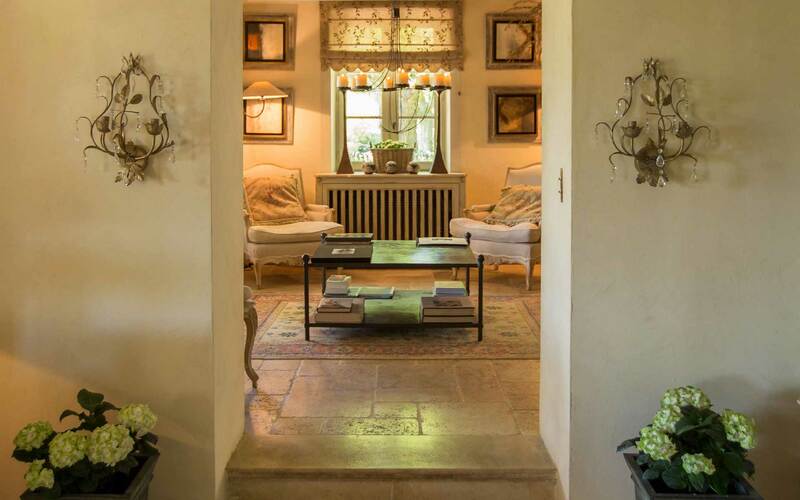 A double bedroom with a spacious private bathroom and direct access onto the patio. 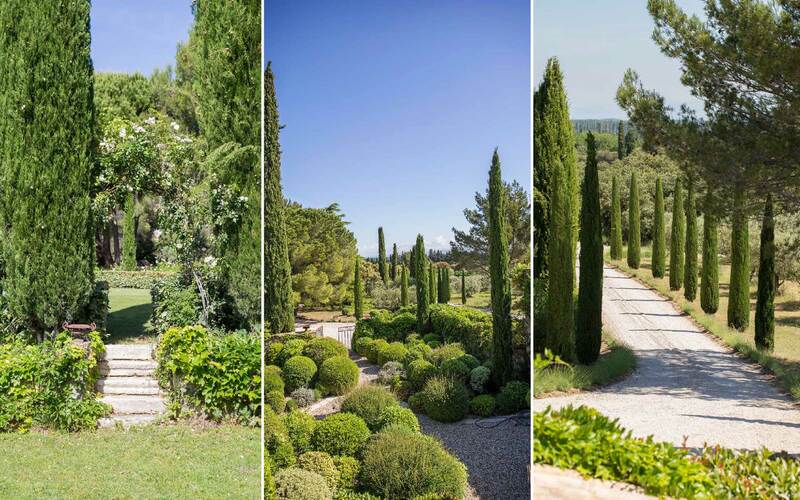 A second, air-conditioned double bedroom gives direct access to the garden. Spacious, pool house in a calm setting, with a bar, a lounge area and a beautiful fireplace. 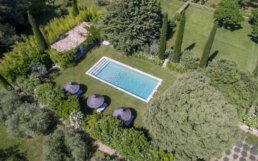 Swimming pool (18 x 4 m). 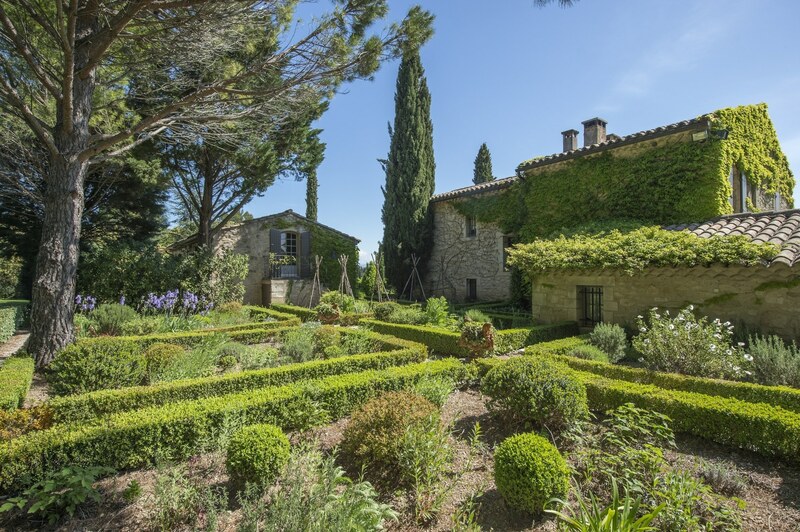 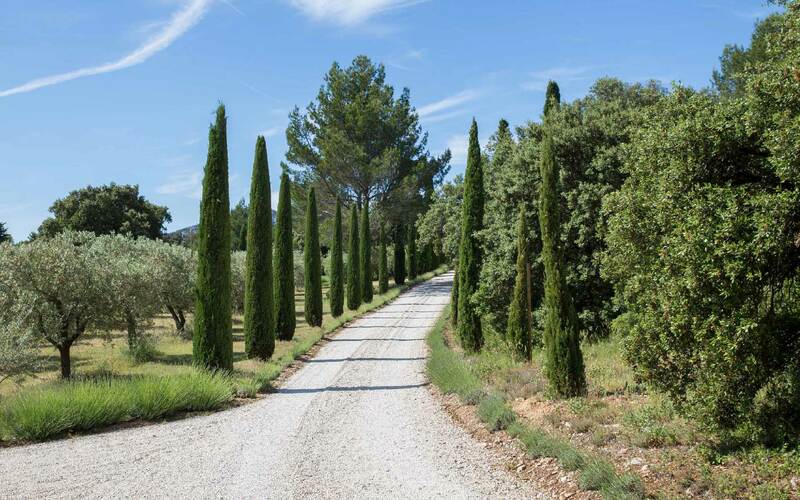 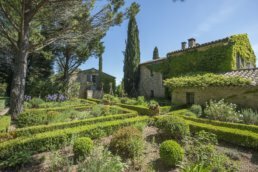 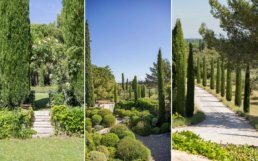 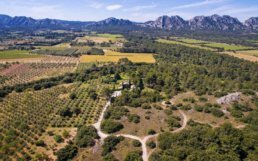 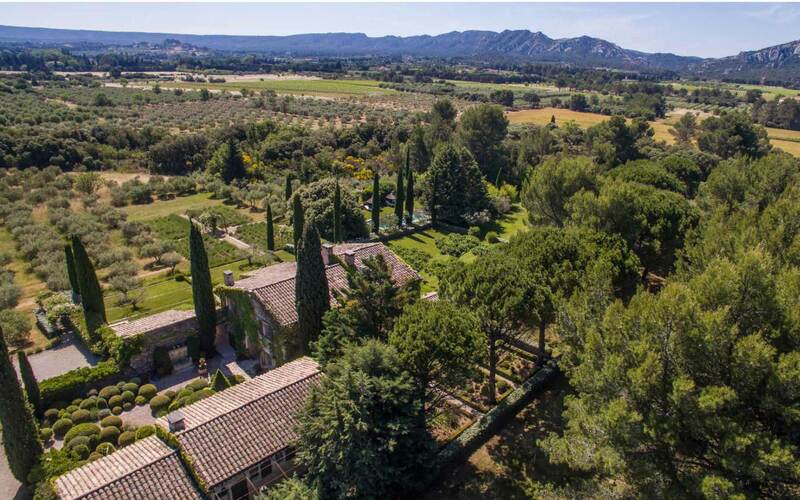 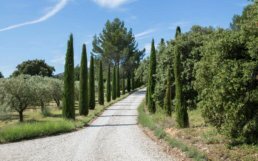 Pétanque pitch At the foot of the Alpilles, the Provencal farmhouse is built in a 15- hectare lot and planted with vines, olive trees, almond trees, oak trees, lavenders and a rose garden.